The Supreme Court on Wednesday ordered that all the accused in the National Insurance Corporation Limited (NICL) case should be arrested within two weeks and investigations be completed immediately after the arrests. 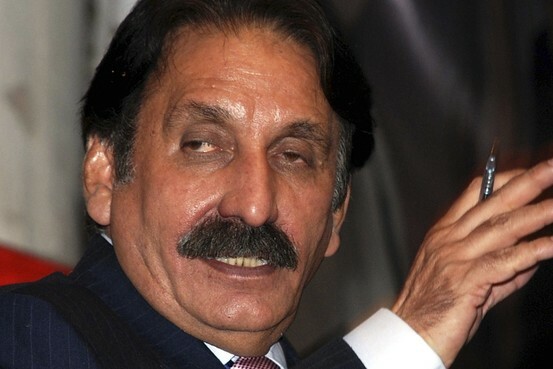 Chief Justice of Pakistan Iftikhar Muhammad Chaudhry expressed doubt over the pace of investigation by the Federal Investigation Agency (FIA). The FIA Director Mozzam Jah told the court that former Sindh Workers Welfare Board director general Zafar Saleem transferred Rs 900 million into an anonymous account in an NICL deal. But Zafar Saleem passed away in an air crash, the FIA director added. The chief justice said that the FIA director was laying blame on a dead man, adding that the FIA should have arrested the people involved in anonymous accounts transaction earlier. He remarked that all the accused in the case were seemed vindicated because of the FIA director, adding that how the officials addicted to air conditions would investigate a case. The chief justice said the court was fed up to the extent that the entire FIA team should be sent to jail. The FIA director submitted that Rs 3 million were recovered from Syed Iqbal’s accounts, but the accused is absconding. The CJP said that due to the delinquency of the investigative agencies, the criminals walked away scot-free. The FIA director told the court that in another NICL deal, Rs 40 million were transferred into the accounts of Makhdoom Amin Faheem, Makhdoom Jamil Zaman and Rizwana Amin. Wonder why two whole weeks?